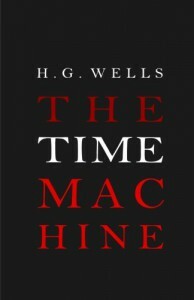 Re-reading Wells's classic after many years, I'm struck by the "scientific" style, also used by Poe for his science fiction. The learned exposition about physics or the material world; the careful articulation by the protagonist of the limits of his expertise or possible lack of objectivity at times; the proofs that lead to the suspension of disbelief; the citing of authorities (here, though unnamed, Darwin plays a major role)--I just love the tone and the techniques used to reel the reader in. Strip away the science and you've got a story which, although ostensibly about the future degradation of human nobility, reads very much like a colonial tale about the debased indigenes. This makes me think about how much of science fiction follows this model, though the noble rather than monstrous savage sometimes takes center stage. I can poke some holes in the plot, but why bother? It's still a good story and in its day must have galvanized many readers.